anda are one of a kind. This is my first drawing so I hope anda like it. 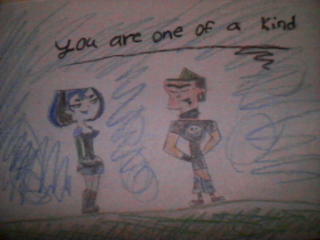 Wallpaper and background images in the TDI's GwenxDuncan club tagged: gwen duncan dxg<3. Thats not bad, not bad at all. Keep up the good work!